Throughout the coming year the Alps will celebrate the 150th anniversary of what would later become known as the Golden Age of Alpinism. This culminated in 1865 with the remarkable first ascents of the most difficult summits in the range: Matterhorn, Aiguille Verte, Grandes Jorasses, and others. During that year a new kind of mountaineering took shape; many of the new routes required an outstanding athletic performance, such as Mont Blanc via the Brenva Spur. The 2015 Piolets d’Or will primarily remember and celebrate this landmark in climbing history. For years climbers from afar have made their way towards these mountains, driven by passion and an intense, yet reverent desire to reach the top. Like all previous Piolets d’Or, the 2015 event will celebrate alpinism, both as a sport and as a form of culture. In 2014 mountaineers pursued their dreams, visiting lesser-known summits, and demonstrating that exploratory alpinism, as experienced by the pioneers of the Golden Age, is still totally elevant. 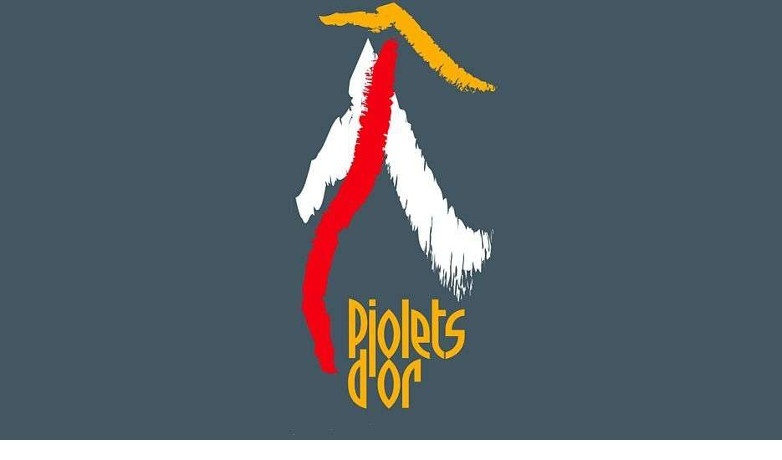 WHY THE PIOLETS D’OR ? mountaineering to a wider audience and to highlight unique experiences in fascinating natural environments. The achievements of these alpinists will be a positive demonstration of the ethics of the sport, and the respect for the natural environment and local cultures, as documented in the Piolets d'Or Charter. Supported by international bodies such as the Alpine Club, the American Alpine Club, the Italian Alpine Club, the French Federation of Mountaineering and Climbing and the French Federation of Alpine and Mountain Clubs, the Piolets d'Or finds inspiration in the rich history of mountaineering, while rewarding the spirit of the roped party, its courage, endurance and a sense of exploration in the art of climbing mountains. The "Piolet d'Or Cereer" was created to reward a mountaineering career that has inspired generations through its spirit, and is in hannony with the criteria established by the Charter. In 2009, the first career Piolet d'Or was awarded to Walter Bonatti. He was followed by Reinhold Messner (2010), Doug Scott (2011), Robert Paragot (2012), Kurt Diemberger (2013) and John Roskelley (2014). Born in 1934, Chris Bonington began climbing at the age of 17. In 1958 he took part in an early ascent of the Bonatti Pillar on the Petit Dru, and later became the flrst Briton to climb the North Face of the Eiger. He was soon invited to take part in Himalayan adventures; he reached the summit of Annapurna Il (7927 m) in 1960, and then Nuptse (7861 m) in 1961. These achievements were followed by a succession of first ascents : the Central Pillar of Freney on Mont Blanc (1961, with Don Whillans, lan Clough and Jan Dlugosz), Central Tower of Paine (Patagonia, 1963, with Don Whillans), Righthand Pillar of Brouillard (1965, with Rusty Baillie, John Harlin, and Brian Robertson). 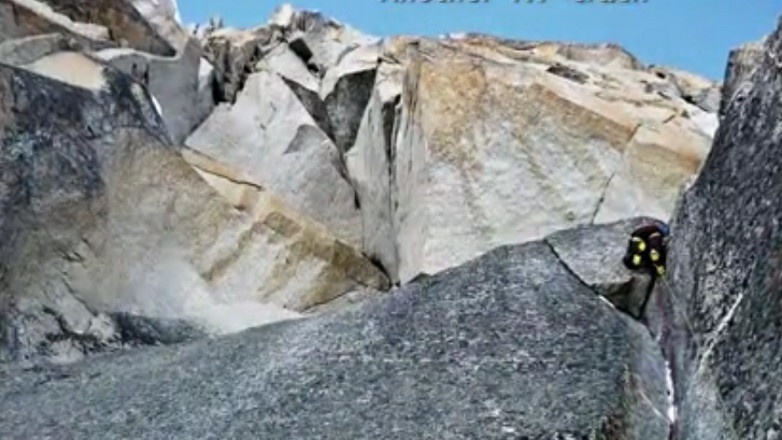 In 1966, having become a photojournalist, he covered the ascent of the Direttissima on the Eiger North Face, providing assistance to John Harlin's team. ln 1970 Himalayan climbers benetited from the reopening of Nepal, and began climbing the great faces of its giant peaks. Chris Bonington led a strong team on the south face of Annapurna, where Don Whillans and Dougal Haston reached the summit. In 1975 he led a successful expedition to Everest, which made the first ascent of the Southwest Face. In between he made the first ascent of Brammah 1(6411 m) in Kishtwar, and Changabang (6864 m) in the Garhwal. ln 1977, Chris Bonington climbed Baintha Brakk (7285 m) with Doug Scott, who broke both ankles early in the descent. The two men then made one of the most extraordinary descents in the history of Himalaya climbing. In 1981 he made the first ascent of Kongur (7719 m), a huge mountain in China. In 1983 he climbed a technical rock route to make the first ascent of Shivling West with Jim Fotheringham. Prior to this he had organized an expedition to the West face of K2 (1978) and the Northeast ridge of Everest (1982). Then followed two expeditions to Melungtse, Vinson in 1983, and Everest, which he summited in 1985. 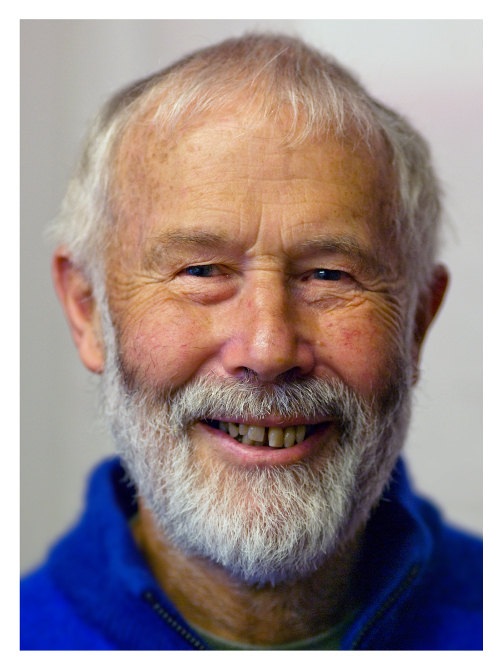 Chris Bonington's achievements have been signiticant in both the Alps and Himalaya. He has published numerous books, which have been translated into many languages. A businessman and writer, he has received numerous awards in the United Kingdom and was knighted in 1996.
ln 2014, to celebrate his 80th birthday, he returned to repeat one of his own famous climbs, the Old Man of Hoy, a spectacular sea stack in Orkney, which he first climbed in 1966, and where he organized a major programme for the BBC in 1967. An outstanding and passionate climber, Chris Bonington will this April join the elite group of mountaineers to have been awarded a Career Piolet d'Or. Czech climbers Jan Straka i Pavel Vrtik do new route on Les Droites. Le Vol Du Dragon (M7+ A2 1200m. 8-12 march 2014). Alpine style, no bolts, only one pitch is aid, 3 biwaques on wall. Here you have film from ascent. Yesterday Lucie Hrozová repeated Bafomet M14 in Tatra Mountains (Poland). It's the first female ascent on this route and fourth in order. There also is movie from this ascent :). 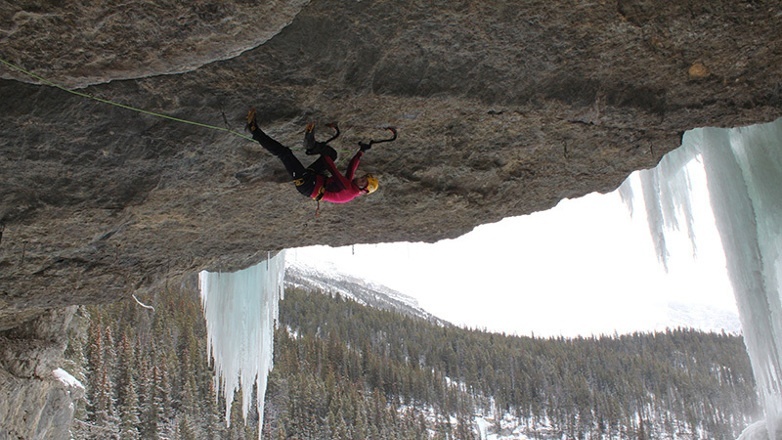 Angelika Rainer on one trip repeated dry-tooling classic Steel Koan M13+, and win on Bozeman Ice Climbing Festival. On first day in Canada They have something about -30 °C. First Angelika with Marco Servalli go to cave Haffner Cave, where was only... -27 °C. She repeat Caveman M10 and Fire Roasted JC’s Rig, M10, both on flash style. Next She go to cave Cineplex, where on third day, she repeat Steel Koan M13+ (there was -10 °C). Respect! 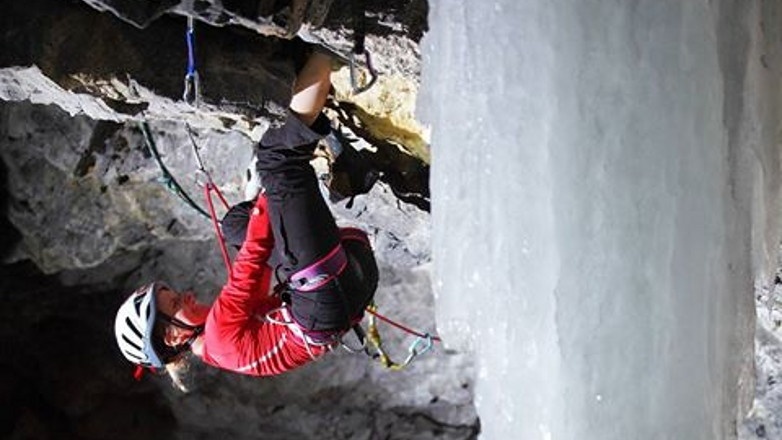 The hardest route repeated by woman is Ironman M14+ (Lucie Hrozová, 2013). After the success in Cineplex, Angelika go to Bozeman, where she win :-). In Korea Young Hye Kwon send a new dry-tooling route. Black Eagle has grade M13. 37 meters long (30 in roof).